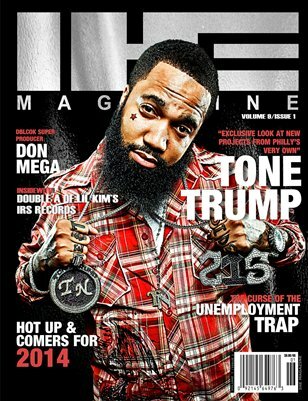 Tone Trump: IHE Magazine Volume 9 Issue 1: This issue we are connecting East to West, our San Diego based Magazine is connecting exclusive interviews from upcoming artists from all coastst. Bringing together an understanding of “Power in Unity”. We will be covering interviews with Young Jeezy’s artist Tone Trump, Lil Kims Label Artist Double A and Jadakiss’s Super Producer of DBlock Records Don Mega, just to name a few. Get the inside on how to get your own business going from these not only successful Hip Hop artists but entrepreneurs at the same time.